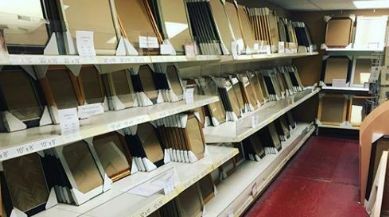 We have a huge selection of ready made frames in standard sizes to suit a range of styles and budgets. If your image or artwork doesn't quite fit a standard size we are able to cut a mount to suit to enable you to choose a ready made frame. All of our stock frames are made by us on the premises .